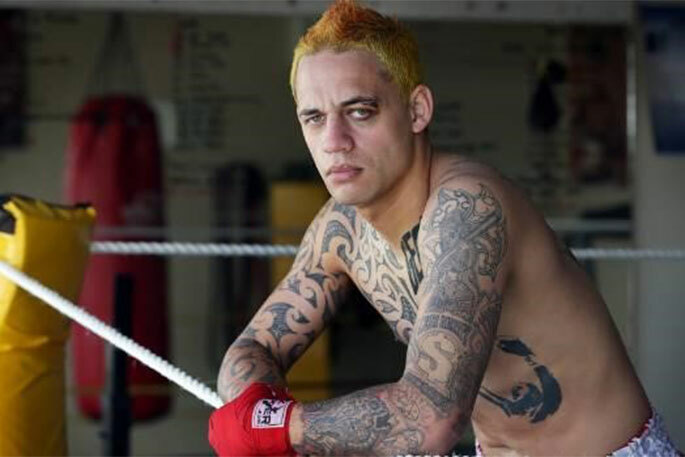 “The Waikato Warrior” Cairo George will be fighting in the Waikato for the first time in 20 months. Due to his Singapore fight postponed to mid-July, Cairo George manages to put in some time to have a return fight in his home region on May 4 at Iron Fist at the Lake Karapiro Event Centre. Last time Cairo was fighting in Waikato, he took on Ricky Curline at YMCA Stadium in Hamilton. Even though he was a debut boxer, Ricky put up a big six round fight against Cairo, making it a close fight, however, Cairo walked away with the unanimous decision. In his last fight, he knocked out an Indonesia boxer Gusti Elnino. The fight happened in Singapore, was broadcast live across the world. Cairo simply outclassed his opponent with an early end in the second round, says a statement released about the even - Iron Fist - today. In Cairo's career, he has won the NZNBF Super Welterweight & Welterweight titles and the IBO Asia Pacific Welterweight title. The biggest win of his career was back in 2015 he won the IBO title and successfully defended the NZNBF Welterweight title against Nort Beauchamp. His next fight at Lake Karapiro will be against Australian journeyman boxer James Torres. Cairo will be going for his forth boxing title, as the fight against James Torres will be for the Pro Box Pacific Super Lightweight title. On the undercard former New Zealand Amateur Champion Dianne Beazley will make her professional debut against Golden Gloves New Zealand Champion Caroline Daniels. Dianne Beazley is a veteran in the amateur boxing scene, being highly successful in New Zealand. She won the New Zealand title back in 2009 in the light heavyweight division. Over the last few years, she has been focusing on training and developing women's boxing in New Zealand, instead of competing herself. Dianne Beazley will be taking one fight at a time as she goes through the pro scene. Dianne Beazley will be making history when she competes on May 4 at Lake Karapiro, as she becomes the first New Zealand born LGBT person to compete in professional boxing. She will be following down a similar pathway as Brazilian born New Zealand boxer Geovana Peres, who is also Lesbian. Geovana Peres will be fighting for World title on March 30 against Lani Daniels in Auckland, New Zealand. Lani Daniels sister Caroline Daniels, will be Dianne Beazley opponent. Both Lani and Caroline Daniels went through the amateur boxing scene together, boxing both in Hamilton and Northland. Caroline Daniels made her professional debut in November 2017, winning against Ashley Campbell by Split Decision. Caroline took 2018 off to recover from some injuries, however, is looking forward to making her return, not only to the boxing ring but also fighting in the Waikato. The other professional bout on the undercard is between two debut boxers in the light heavyweight division, Aaron Ellis vs Graeme Dodo. The card will also feature 13 evenly matched corporate bouts.